Recorded Live at Estadio Nacional, Santiago, Chile - September 29, 1990. 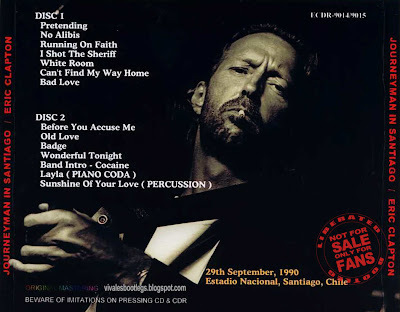 Vg+ Soundboard Recording :: Bootleg Silver CD/s :: CBR 320 kbps. Files: 14. :: Size: 228,98 MB (mp3) / 460 MB (flac). 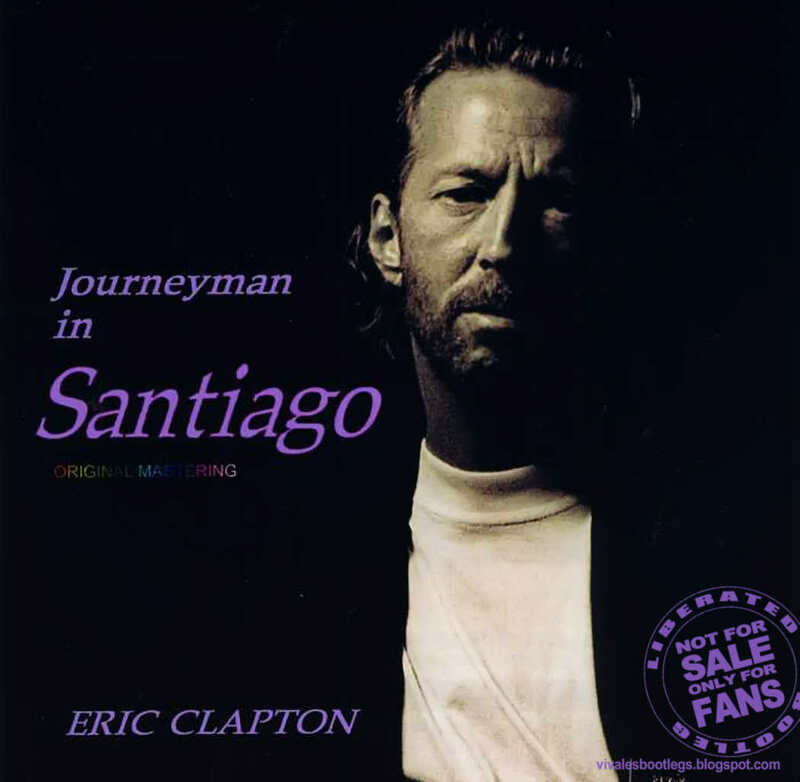 Personnel: Eric Clapton: Guitar, Vocals :: Phil Palmer: Guitar :: Steve Ferrone: Drums :: Nathan East: Bass, Vocals :: Greg Phillrnganes: Keyboards :: Roy Cooper: Percussion :: Tessa Niles: Backing Vocals :: Katie Kissn: Backing Vocals . Notes: First night of the South American Leg of Eric's Journeyman Tour. This show was filmed for later television broadcast in Chile. It was also recorded for potential release.<-(Info taken from whereseric.com). 4 days to return of Clapton to Santiago!, luckily I`ll be there this sunday!